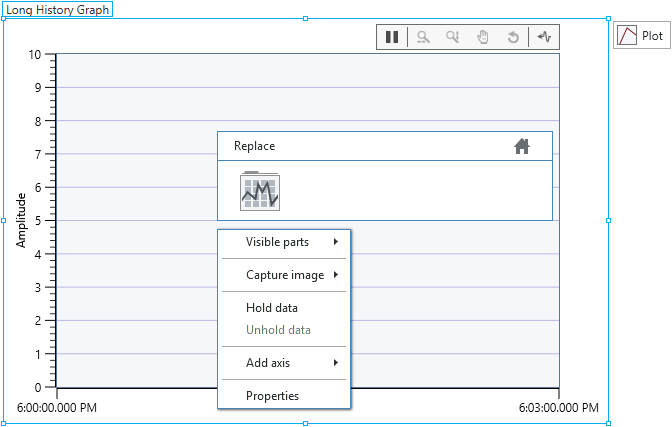 Visible length cannot exceed the history length total buffer size. 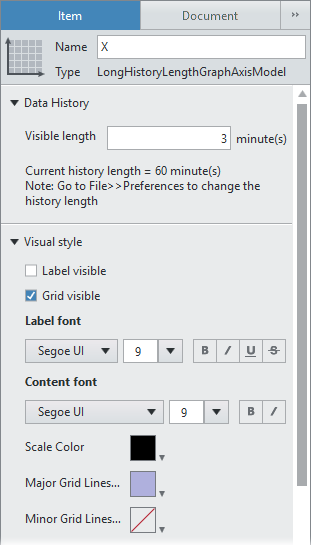 To adjust the default history length, go to File»Preferences and adjust the Long history length field. 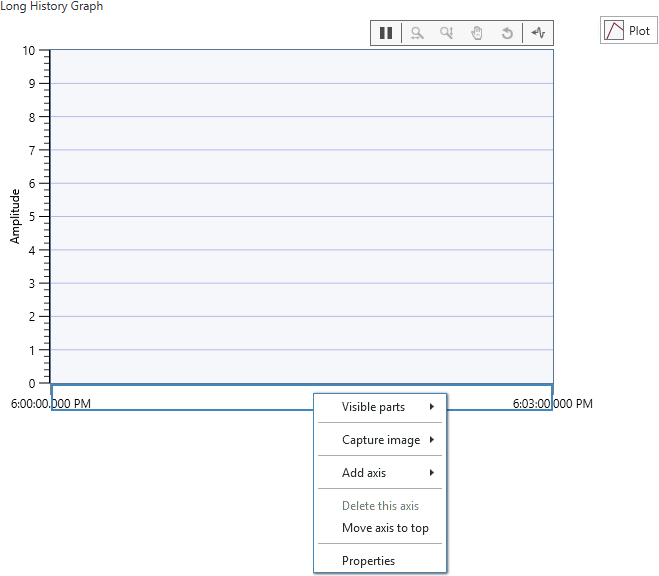 The amount of data you can pause and view is determined by the Long History Graph history length. 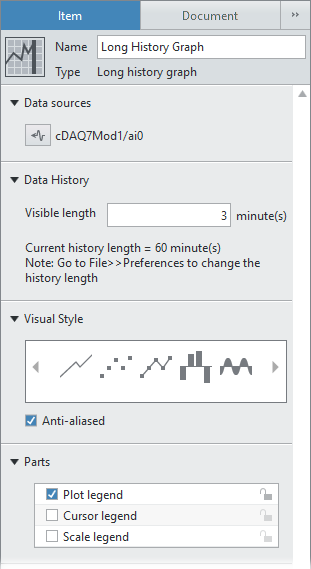 To adjust the default history length, go to File»Preferences and adjust the Long history length field.